Alexandra's Dad (who wanted a boy) was addicted to sports therefore she started very early with sports competition but it's as a swimmer that she started with only some very occasional social running here and there. After spending 9 years in Africa where outdoor sports was out of question, Alex tried a fun 5k run in April 2015 and realised how much she missed being active,then, all it took was seeing a friend running the London Marathon a week after to start dreaming of doing it too. She met her famous running buddy Helen just a month later and it was enough to motivate Alex to improve her distance, first a 10k, then a 10 miles race in August 2016. 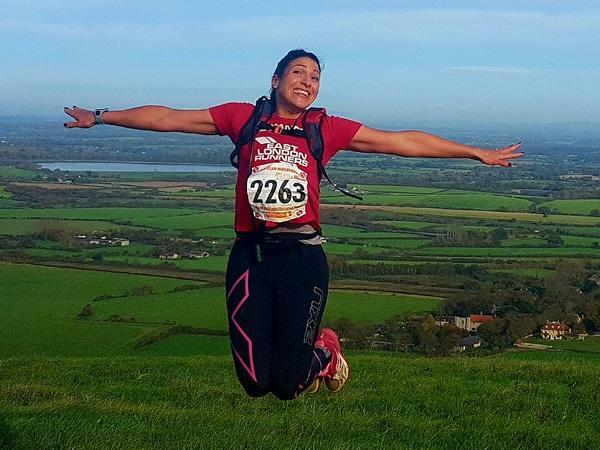 Afraid of losing motivation when moving to Ilford, Alex decided to join the East London Runners Club that same month and kept improving since then in distance with Beachy Head Marathon completed in October 2017. Alex also has achieved in time a series of personal bests (PBs) for 5k, 10k and Half Marathon distances over the summer of 2017. Alex was awarded the accolade of Club Runner of the month for August 2017 from East London Runners. Alex has a Charity place in the London Marathon 2018 and hopes that you will all be there to cheer her on!